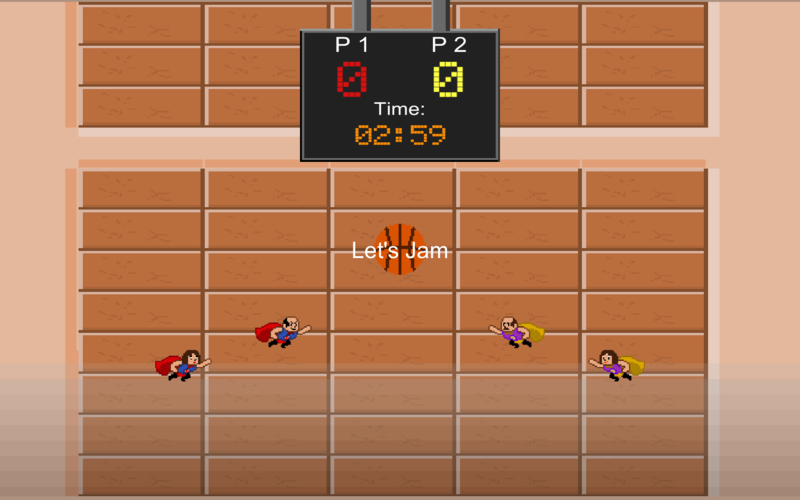 Even super heroes can enjoy a casual game of B-Ball every once in a while. 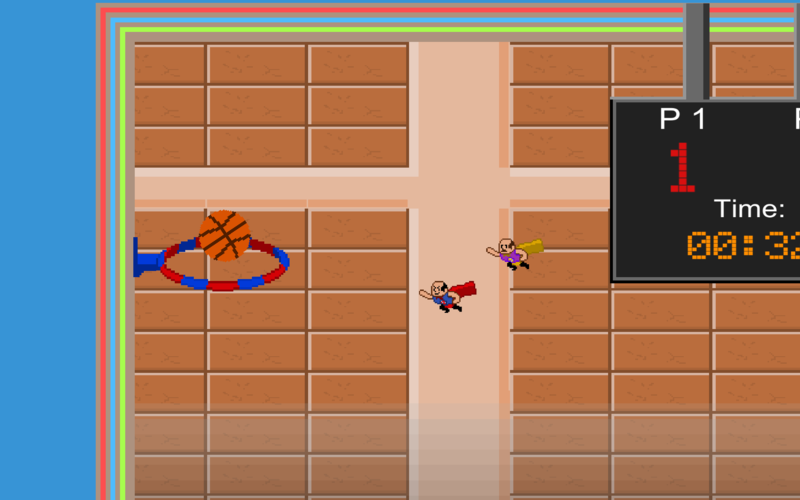 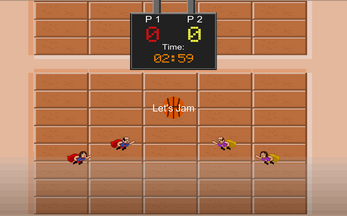 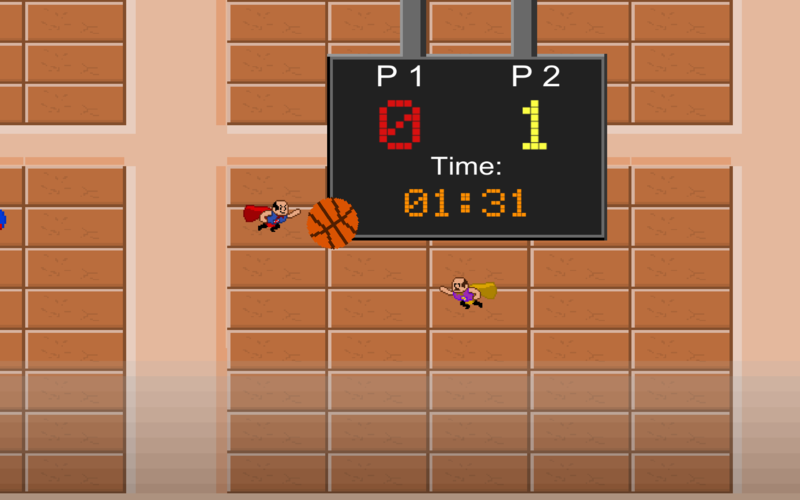 A casual physics-based multiplayer sports game with very simple controls for 2 or 4 players. 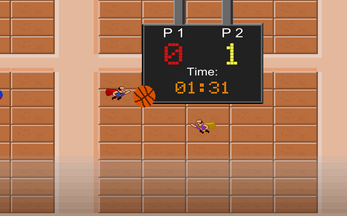 Uses WSAD controls for player 1, arrows for player 2, HJKU for player3 and NUMPAD 4,5,6,8 for player 4.